The Madhya Pradesh housing department will soon launch a scheme that will provide housing for the cooperative housing societies. The scheme is called ‘housing for all’. In case you are thinking such a project was launched earlier, you are right. The Prime Minister had previously launched a programme called Pradhan Mantri Awas Yojana (PMAY) under which the poorer section of the society especially those below the poverty level. This new programme launched in Madhya Pradesh has been launched keeping in line with the same. In fact, it is an expansion programme of PMAY according to the minister of state for cooperative, Vishwas Sarang. According to Sarang it has never happened in India before that houses are being allotted to the housing cooperative society only. This scheme has also been possible because of the PMAY. Also it must be noted that currently India’s population is so large that providing land to everyone is not possible. This is why the only option left for the government is to allocate enough housing units to the homeless and the backward classes so that they are able to get shelter. Madhya Pradesh would be the first state to implement this scheme. Both Shivraj Singh Chouhan and Prime Minister Narendra Modi have made sure that this project reaches fruition. 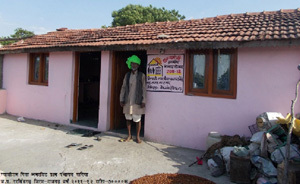 There are as many as 6000 cooperative housing societies in MP alone. There are 600 housing societies in Bhopal. However, the government is not doing a survey to find out how many people could actually be given the houses. These houses would be allocated between 2015 and 2022. In fact the Prime Minister aims to make every person have a home by the year 2022. This means that all those who are of BPL and economically weaker societies (EWS) will be provided a home under this scheme by the year 2022. People who would be buying the houses under this scheme will be given loans and there is no limit as to the loan amounts that will be provided. In fact an interest rate of 6.5% will be levied on the housing loans taken by the economically weak. This is considerably lesser than the existing interest subsidies. Although the scheme will be beneficial for the weaker sections some activists have raised a concern that the government is always focused on schemes and not on the realities at the grass root level. Also, 104 crore rupees were sanctioned for the gas victims and the money never saw the light of the day according to them.